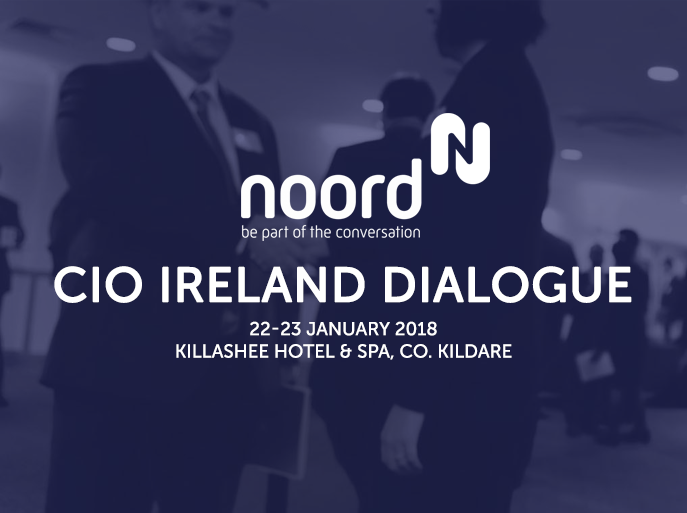 The CIO Dialogue Ireland brings together the country’s most innovative CIOs and CISOs, offering the only exclusively Irish enterprise level discussion and benchmarking. The event incorporates valuable 1-2-1 meetings with your peers and solution providers who have been hand-picked to help you solve your most pressing challenges, and take actionable insights back to the office to help drive your organisation forward. Monday 22nd January 2018 – Tuesday 23rd January 2018 at The Killashee Hotel & Spa in Kildare, located only 30kms from Dublin City. The Dialogue will be returning to Ireland for its 6th edition in 2018, bringing together a host of new speakers, stories and partners. Ireland has seen intense development and investment across the country in recent years as companies have begun to realise its potential to become the digital hub of Europe. With a diverse, technically skilled population, and CIOs facing a variety of new challenges as their role continues to grow in importance, we wanted to be able to offer a platform for collaboration and benchmarking to help the market continue to thrive and grow. Hosted by Joan Mulvihill, attendees can look forward to 2 full days of insightful discussion and dialogue around their areas of focus for the year ahead. The agenda has been built with the market in mind and follows on from months of research with CIOs from across the country. With case studies, panel discussions, workshops and roundtables the event will cover the continuing digital transformation journey, the latest developments in cyber-security, utilising data and customer insights, upcoming regulation and how to leverage the business opportunities – including EUGDPR, developing technologies such as AI and Blockchain, making the most of your move to the cloud, how to overcome the IT skills gap and many more. Attendees can also look forward to a personalised itinerary which includes the opportunity to meet with their choice of solution partners, hand-picked to help you achieve your business goals for 2018, and beyond. The event is a dialogue for a reason! Make sure you are a part of the discussion and join the conversation to get the most out of your time. To see more of the agenda, find out more about our guest speakers and book your place please visit http://www.noordgroup.co.uk/itdleire/. Noord Group is giving an exclusive discount to Irish Tech News readers – use discount code: IRISHTECHNEWS to save £400!